In this week's 'Get to Know a Grape', we'll be looking at a nebulous Italian grape: Nebbiolo. There's always something about cold winter evenings that make me crave a good Nebbiolo. This Piedmontese grape is really something special, and one of my personal favourites. Why? Well, for starters, there's the elegance of the wine it produces. A bit like Pinot Noir, Nebbiolo usually produces medium-bodied wines with notes of ripe fruits and a good amount of acidity and tannin. This makes them perfect for drinking on their own, or for pairing with a variety of foods. But pairing flexibility is not why I love Nebbiolo. Nor is it the beautiful Piedmontese hills -- an absolute winemaker's dream of sun, moisture, warm weather and elevation. No, the real reason I love Nebbiolo is for its ability to produce wonderfully smooth yet also amazingly complex wines. For me, Piedmontese Nebbiolos are much more approachable than Burgundian Pinot Noirs, yet they pack all of the elegance, structure and complexity of Pinot Noir -- all without requiring several years in the cellar. Getting a good Nebbiolo means being able to drink something tonight that is interesting as well as thoroughly enjoyable. I suppose I'm getting a bit ahead of myself here. Let's go back to the basics for a moment. Nebbiolo is a red grape, primarily grown in the Northern Italian region of Piedmont, a region famous for its hills (see photo above), truffles, and wines. Together with Barbera, Nebbiolo is a landmark Piedmontese grape and is used in the prestigious appelations of Barolo and Barbaresco. Nebbiolo wines from these regions, such as those made by the super-prestigious Azienda Agricola Di Angelo Gaja, can easily go for several hundred dollars per bottle, but you don't need to shell out nearly as much to get an enjoyable wine. Indeed, many great Nebbiolos are available at the $15 to $50 range, and even the lower end of that range can offer some great wines. In addition to Piedmont, Nebbiolo is grown in Lombardy (also in Italy), California, Washington State, and even parts of Australia. Nebbiolo grapes can be planted in cooler climates, but require a significant amount of warmth to develop the necessary sugar and fruit flavour that makes great wine. This 'Goldilocks-zone' requirement has led to several unsuccessful experiments with Nebbiolo. For instance, many Australian wineries found that the climate was too warm for good Nebbiolo, while those in other parts of Italy found the weather too cold to get Nebbiolo wines with fully-developed aromas. In short, if you want a classic Nebbiolo, it's best to stick to Piedmont. 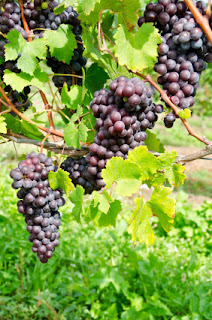 Nebbiolo grapes can also be blended with other grapes, such as Barbera or Croatina, adding darker colours and more intense flavours to the wine. As far as food pairings go, Nebbiolo wines are best paired with Italian dishes, such as gnocchi, Canneloni with tomato sauce, or pizza. Red meats, such as filet mignon, rabbit, or wild game are also good matches if you're up for some finer cuisine. Most good Nebbiolos are great sipping wines, as well, perfect for having with friends or family on a cold winter evening. Price Range: $15-$50, going into the hundreds for wines from prestigious producers in Barolo or Barbaresco. Food Pairings: Pasta with tomato sauce, gnocchi, pizza, filet mignon.